Health advocates from Queensland Health and Queensland Aged & Disability Advocacy Inc visiting QRAM were keen and impressed to begin using the Black Star network to promote their services to remote communities of Cape York and Gulf of Carpentaria. Diana Jans, Aboriginal and Torres Strait Advocate for Queensland Aged & Disability Advocacy said it was good to see the RIBS services were up and running effectively and she will certainty urge her colleagues to use Black Star to promote the service they provide to the communities. 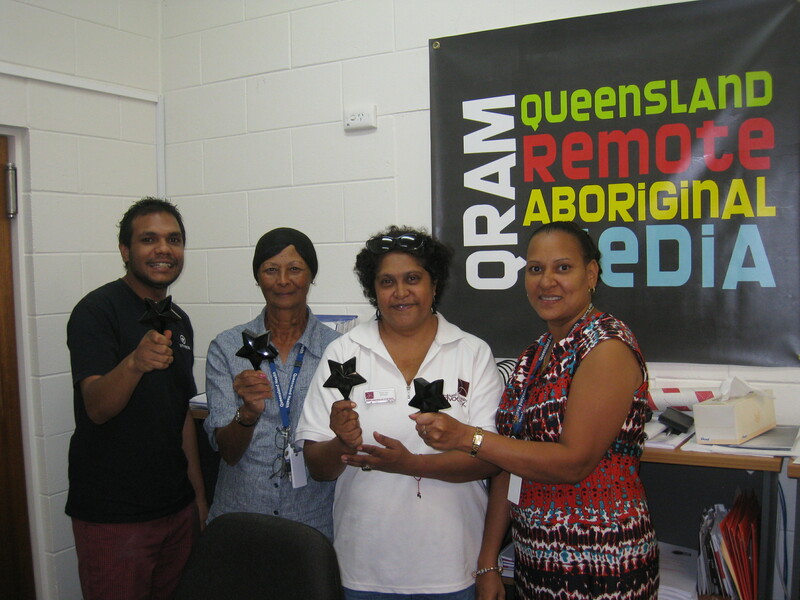 Robin Bowie and Priscilla McFadzean, Queensland Health Indigenous HACC Project Officers, were also impressed by the Black Star service and its potential to deliver targeted messaging to individual communities. All 3 are frequent travellers to the Cape and Gulf and, having lived on community and with family there, they understand the vital importance of good communication services.